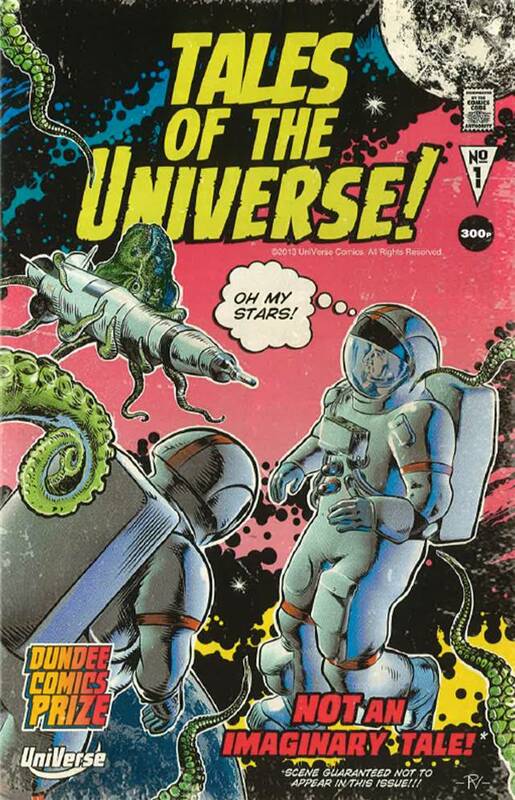 UniVerse is the imprint set up by the University of Dundee to publish the work of the students on both the university’s MLitt in Comics Studies and the Duncan of Jordanstone College of Art and Design (DJCAD) Comic Art and Graphic Novel module. It has also been used to feature the work of the winners and runners up in the annual Dundee Comics Prize competition. The imprint’s main title is Anthology, each issue of which is a full colour, US sized, soft cover, perfect bound book. 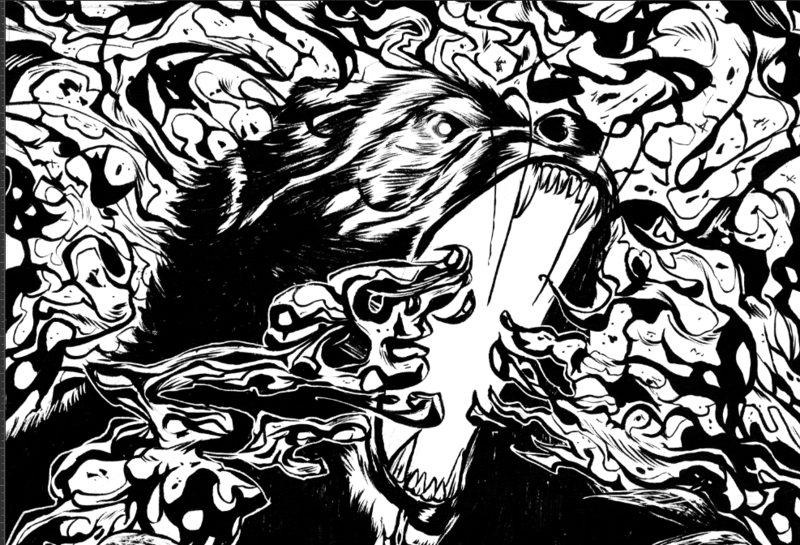 Anthology One features the work of the DJCAD students and is a 72 page book with a cover by DJCAD graduate Colin MacNeil. Buy it here! Anthology Two features the work of the MLitt students and is a 100 page book with a cover by Phillip Vaughan. Buy it here! Anthology Three again features the work of the DJCAD students and is a 120 page book with a cover by guest lecturer Dave Gibbons. Buy it here! 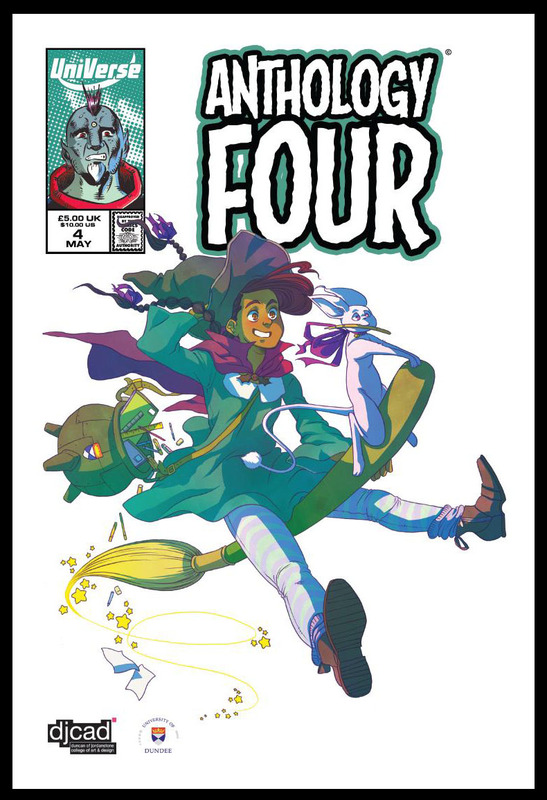 Anthology Four features the work of DJCAD and Comics MLitt students and is our largest edition ever, at 128 pages, with a cover by Kate Brown. Read more about the launch of our latest publication here. Tales of the UniVerse #1 features the winner and runners-up from the 2013 Dundee Comics Prize. The theme was Science Fiction. Tales of the UniVerse #2 is coming soon. It will feature the winner and runners-up from the 2014 Dundee Comics Prize. The theme will be Heroes and Villains. To see the entry requirements for entering your own work click here. This science-fiction coming-of-age story written by Erin Keepers and drawn by Letty Wilson, both graduates of the Comics Studies MLitt, follows Rinette, an alien-human hybrid who faces a choice whether to aid or resist an alien invasion of the Earth. Coming this Autumn! Keep up with our progress here!